Eid is all fun and joy until the Eid afternoon boredom strikes. So, if you are not on the beaches of Sahel or Sokhna, here are some underrated but outstanding films to binge watch while eating kahk. This film is quoted on social media all the time for its amazing lines. Starring Kate Winslet and Jim Carrey, this gem is about a painful breakup where Clementine and Joel want to forget each other. Except that they literally make themselves forget each other with a procedure to erase all the memories of their relationship. A weird, fantasy, romantic, and quirky experience not to be missed. Jodie Foster truly demonstrates the power and persistence of a strong and educated woman, and the impact it can have on the world around her. Anna and her son Louis are asked to move from England to Siam to educate the young prince of Siam. As cultures clash, and Anna defies the King, it is unclear who has the upper hand. For horror film fans, The Babadook is one to remember. It isn’t the scariest of films, but its concept and meaning behind it sets it apart from most horror movies. This Australian film talks about a single mother battling the loss of her husband and her son’s abnormal fear of a monster in a book. She soon discovers her son’s fear is not all in his head. You will laugh so much. Not just because Martin Lawrence is absolutely hilarious but also because this film’s script and setting make it impossible for you not to. Jamal is just an employee in a medieval themed park. But when he hits his head, he wakes up in the 14th century. With the princess having the hots for him, the king demanding he teaches them the dances of his country, and dealing with medieval bathrooms, Jamal is in for trouble. Still from the film Begin Again (2013). Just simply put, one of the best soundtracks ever with meaningful lyrics and refreshing melodies. 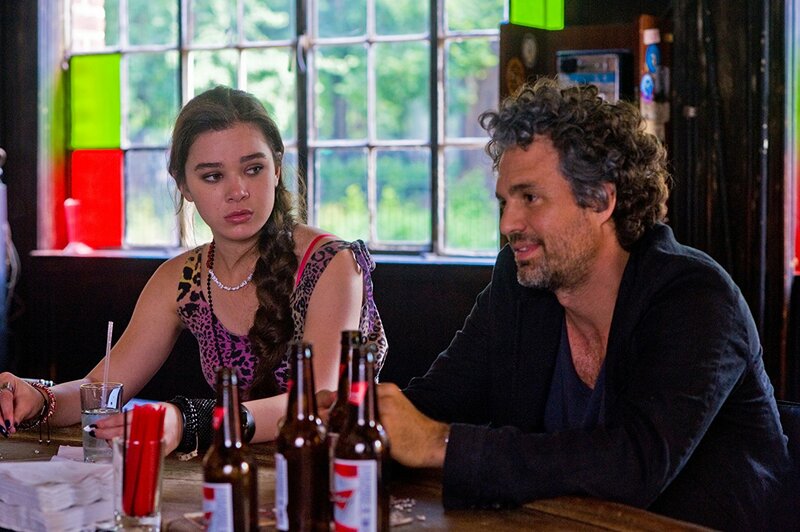 Begin Again stars Keira Knightly and Mark Ruffalo in what could only be described as the story of a magical friendship. When Gretta moves to New York and is abandoned by her cheating boyfriend, she is discovered by record producer Dan and, as they work on her album, everything changes. How is this not up there with all the animation staples? Beautiful colourful settings, hilarious lovable characters, and amazing music courtesy of Sir Elton John himself, what more could you want? Tulio and Migel are two con men who stumble upon a map to Eldorado, the city of gold. When they get there the people of Eldorado mistake them for Gods, but their luxury doesn’t last as the evil Cortez is on their tale to take all the gold for himself. If you are into psychological thrillers and asylum movies, this one is for you. As young Doctor Edward arrives at Stonehearst Asylum, looking to become an apprentice there, he falls in love with a patient, faces the menace of a psychotic genius, and discovers a secret of the asylum that changes everything. This is one of those movies where you think it’s a cliché, but the longer you wait the more you find out it is everything but. Still from the film Stonehearst Asylum (2014). A love story that surpassed space and time without being cliché or cheesy. A frustrated architect and a beautiful doctor fall in love while being in the same lake house, only they are there two years apart. They somehow magically exchange letters through time and fall in love, but fate has much in store for their love affair across time. A beautiful concept that will resonate with you as being the right kind of romantic. Set in World War II Germany, this film is about an unlikely friendship that strikes up when a young German boy meets a Jewish boy around his age, behind the fence of a concentration camp. Not knowing what is to come, the two bond, despite the harshness of the surroundings and the fate to come. Even though the holocaust maybe one of the most overdone themes in cinema, this film manages to capture a new perspective, a child’s perspective. If you have not watched this, you need to do that right now. Perhaps one of the greatest films about mental illness ever made, it stars Russel Crowe and it is based on a true story. What else needs to be said? It is about mathematical genius John Nash who won a Nobel Prize for his work, but only after a long journey struggling with a mental illness he did not even know he had. Again, go watch it. Now. This is a horror movie that seems simple but is all kinds of creepy, there is just something about the acting, the body language, and the overall mood that makes this believable and terrifying. When Becca and Tyler head off to meet their maternal grandparents for the first time, first they are charmed by the couple, but later notice strange demeanours and discover a secret that has them fearing for their lives. Still from the film Ruby Sparks (2012). This movie resonates with you for a while. Its concept may seem ridiculous, but that does not stop it from wondering what you would do if you were in the same situation, and it messes with your head. A frustrated young novelist struggles with his newest creation, so he uses an old typewriter to create a new character he calls Ruby Sparks. Ruby becomes everything the writer ever wanted in a woman and as he typed more and more details about her, he becomes fond of the character. One day the writer wakes up to find the Ruby from his novel in his kitchen. She has come to life and has no idea she is fictional. He also discovers that whatever he writes about her comes true, even how she feels. Just when you say Steve Martin and Queen Latifah, you know you are in for a treat. Peter is a lawyer who wants to get back into the dating game, so he is ecstatic when he gets to know a fellow lawyer online and has a date with her. What he is in for is not what he expected at all; instead he meets an escaped convict who convinces him to take her and take her case. Just saying, Steve Martin dresses up like a gangster from the ghetto and attempts to break dance. Watching the trailer for this film will probably make you think it is boring, but it actually isn’t. it is one of those films you end up remembering and liking, even if you can’t really put your finger on why. The film is about one of the most renowned dressmakers of the 1950’s, Reynolds Woodcock, a peculiar womaniser who uses women for pleasure and inspiration. Until he falls in love with Alma. As the film delves into Woodcock’s peculiar personality, more and more is revealed about his demeanour and his quest for greatness, Alma’s patience begins to fail. Still from the film Shanghai Noon (2002). 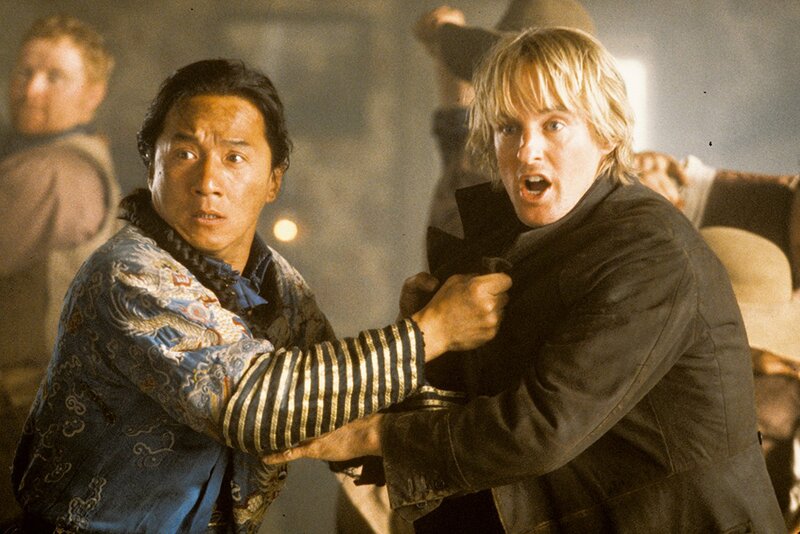 Jackie Chan and Owen Wilson are cowboys who attempt to save a kidnapped princess. Does more need to be said? If you like action, this one is filled with punches, kicks, guns, and jumps. And if you like comedy then the philandering character own Wilson plays, along with Jackie Chan’s hilarious facial expressions will definitely satisfy. Definitely a must-watch. A comedy that also warms your heart. Adam Sandler is a staple comedy name and the Sprouse twins were too cute in this one. It’s just completely surprising how only a few people have watched this film. Sonny is a thirty-two-year-old man-child, who has not had any responsibility for a day in his life. When his girlfriend threatens to dump him for being so irresponsible, a kid arrives at his door. Sonny takes in the kid in an attempt to win her back, but when she decides to dump him anyway, he is stuck raising the kid all on his own.